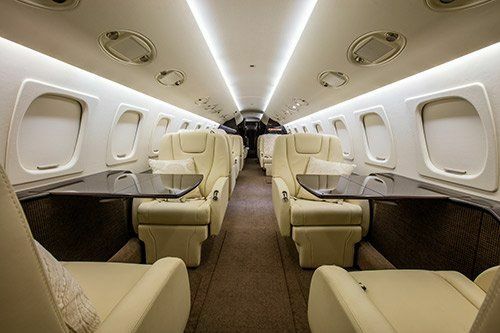 "QUALITY IS NEVER AN ACCIDENT, IT IS ALWAYS THE RESULT OF HIGH INTENTION, SINCERE EFFORT, INTELLIGENT DIRECTION AND SKILLFUL EXECUTION..."
Accord Aviation Interiors serves the corporate, private, and charter aircraft interior market. With hundreds of years of combined experience, the team at Accord provides customers with outstanding design vision and practical installation skill for complete interior renovations, upgrades, modifications, and new design for business and general aviation aircraft that breathe new life into a plane. We are conveniently located at Fort Worth’s Meacham International Airport. 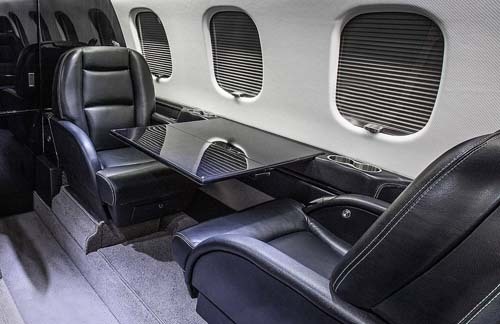 Accord Aviation Interiors completes everything from minor repairs to full refurbishments, on aircraft from King Air’s, to Gulfstream’s and Embraer’s, and everything in between. 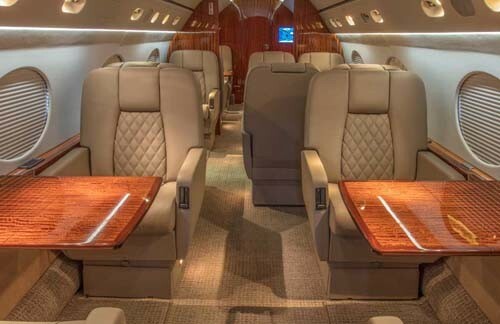 Accord Aviation Interiors offers our clients a meticulous attention to detail when refurbishing your airplane interior, with a team of highly skilled employees that has worked together for years. 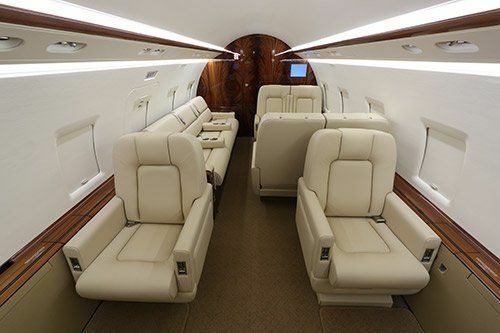 The comfort of knowing who you will talk to when you call, but with experience completing full cabin refurbishments on everything from small to large corporate aircraft, to conversion of commercial aircraft to private operation. We pride ourselves in aircraft interior innovations to make anything possible for our clients, while making certain that details like stitching and veneers are completed to the highest standard. 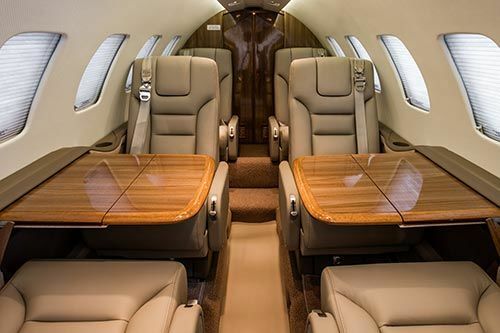 We can enhance the value, appearance, and comfort of your jet or turboprop aircraft with the right interior solutions — whether it is flown for corporate or personal use, is on the market for sale, or flies charter. 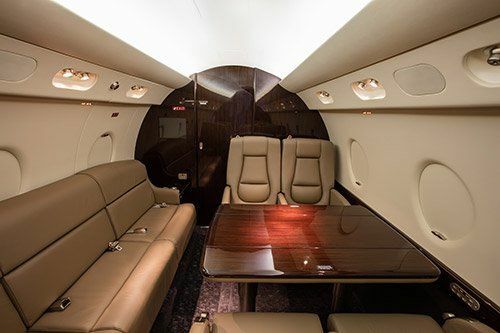 Our skilled and experienced technicians ensure your aircraft interior is not only exquisite and fulfills your every desire, but also has the fit and finish to last for years. Our designers bring style, elegance and personality to your aircraft interior. State-of-the-art cabin headliners, valances, window panel and shade systems are carefully thought out along with cabinetry and upholstery to create the perfect interior space in the air. Our fabricators’ design techniques are second to none, with creative and conservative approaches to suit your individual style and needs. Our designs are complemented with just the right high gloss, matte or paint finish. 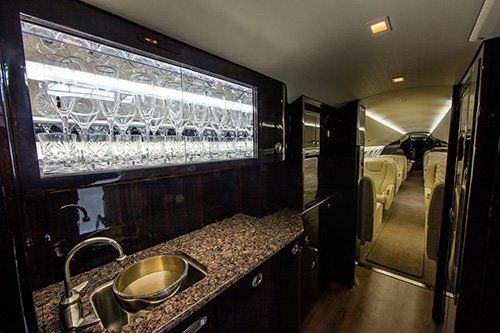 Our custom cabinetry will create an aircraft interior that will impress everyone on board. 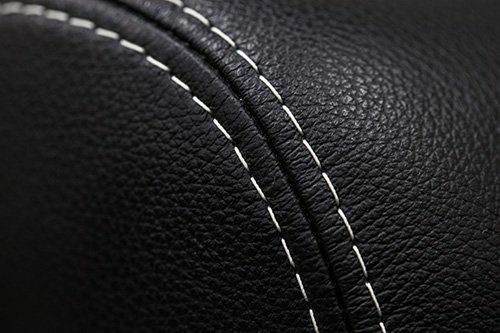 Accord Aviation upholstery is exceptional. Our technicians have a reputation of being the elite in the aircraft interior industry. 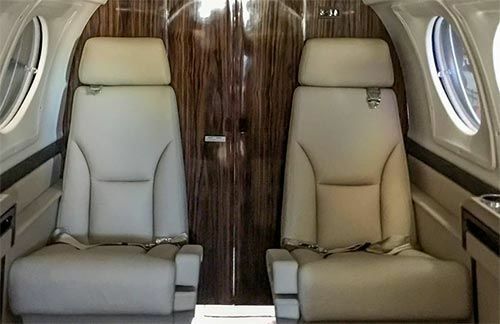 Plush elegance or practical comfort, we will match your wants and needs for the inside of your aircraft with something spectacular. 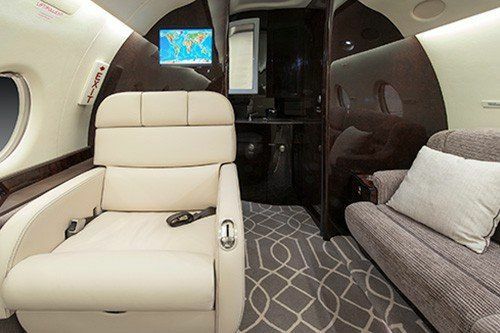 Accord Aviation Interiors can overhaul your jet’s interior with new carpet, even if you’re not yet ready to completely update your interior to meet the latest style and your current needs. 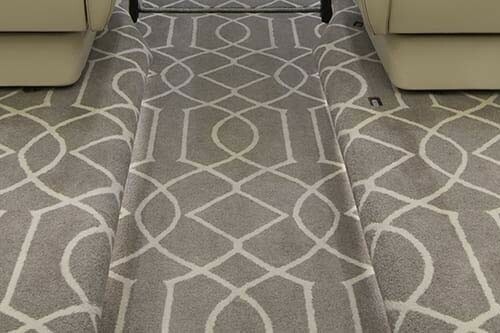 From premium aircraft wool carpets that will stand up to your demanding use, to the most exquisite silk carpets. Few areas can make as much of an impact on the ambiance, look and feel of your cabin as the lighting solutions you choose. The LED lighting and entertainment options that Accord Aviation installs open up new opportunities to bring a greater level of style, elegance and sophistication to flying. 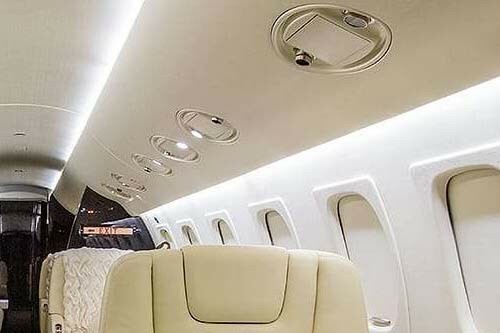 Accord Aviation Interiors can make your jet interior look like an aircraft just off the line with an LED lit cabin. 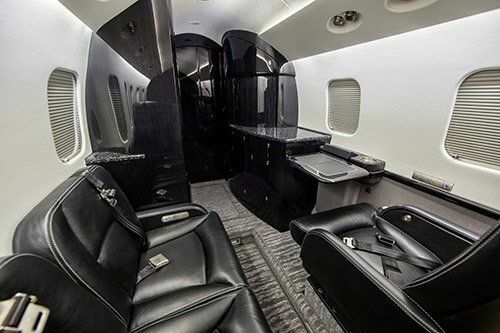 Accord Aviation recently completely overhauled the interior of this Gulfstream G-IV with new leather seating, carpeting, galley, lavatory, lighting and entertainment. 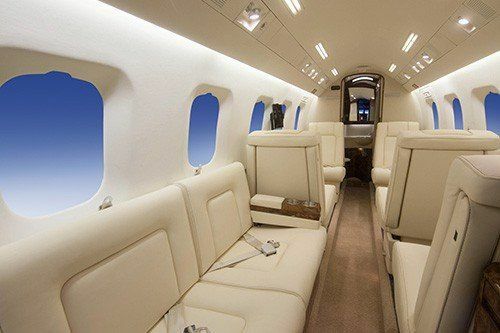 The team created an interior in this G-IV that will rival any Gulfstream rolling off of the factory line. Our team can create any look and feel an owner desires. For the owner of this Piaggio P180, that meant the feel of an Italian sports car, with black leather seating with white stitching, leather covered side rails, brushed aluminum, and glossy black woodwork.